Passengers of the Delhi-Bengaluru GoAir flight were then accommodated on another flight. Alertness of two teenagers from Goyla Dairy village in Southwest Delhi’s Dwarka saved the lives of 194 people on Wednesday, when they spotted fire on the tail of a GoAir flight and immediately alerted the Delhi Police Control Room. After the Police informed the flight captain, the aircraft made an emergency landing at the Indira Gandhi International Airport in Delhi. The airline authorities said all the passengers including three infants were accommodated on another flight. Sanjay Bhatia, Deputy Commissioner of Police (Airport) said, “We received a call at around 7:40 PM on Wednesday.” After receiving the call, they immediately verified the caller and informed the authorities concerned, following which the flight made the emergency landing at 7:47 PM on runway no 28. 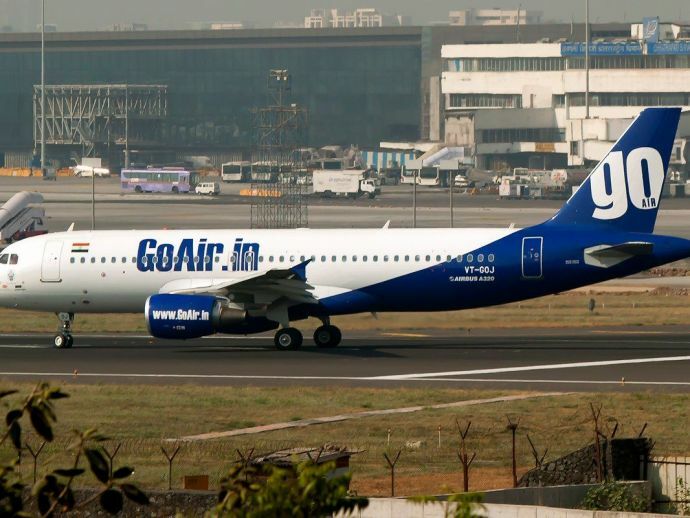 However, denying the fire, GoAir said its Delhi-Bengaluru flight made an emergency landing at Indira Gandhi International Airport at 7:53 PM on Wednesday soon after it took off, due to a technical glitch. Rohit Singh, a class XII student who was on his terrace with his cousin Nitin spotted the fire on the airplane when it was flying over by his terrace. Stunned by seeing the smoke and the fire coming out of the tail of the plane, Rohit without wasting any time informed his father, Navneet Singh, who then immediately called up the Delhi Police.